Alternate Title: How I saved a ton of money this year on my Christmas Cards. Guess what? I'm part way through my Christmas shopping already! And one of the first things I bought early in October were my Christmas Cards. I decided that THIS year, I am going to actually send all of my cards out. I usually get half of them sent and then there's a pile left over, sitting around the house somewhere for months years. NOT this year though. Last year I had them printed by Shutterfly and they were amazing! I was so pleased with the quality and the look. They were so awesome and the paper was amazing. Seriously, if you're at all considering Shutterfly - I could not have been happier. 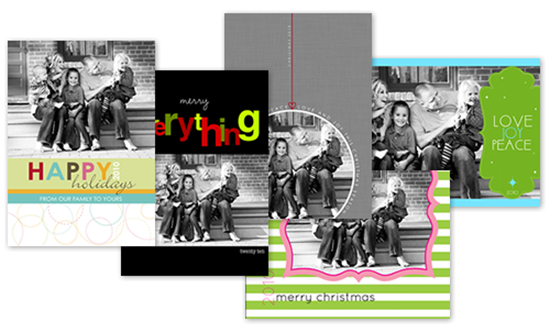 This year, because I already had a Groupon that needed to be used, I chose Mixbook for my Christmas Cards. I am happy to say I am equally pleased with the results. They are beautiful. I was so excited that I could customize the front AND back of the card and have photos on both sides for no extra cost! I can't wait to show you them. I paid $15 for 100 Double Sided Christmas Cards! I highly recommend watching Groupon for deals at printers for your Christmas cards. I was able to purchase way more cards that way. Can't find the look you're going for? If you have Photoshop or Elements you can always make your own and print them at home or have them printed through most online companies. Becky Higgins has beautiful Free Holiday Cards (found in the side-bar of her free stuff page). PSHero has some nice Holiday Cards available for free. 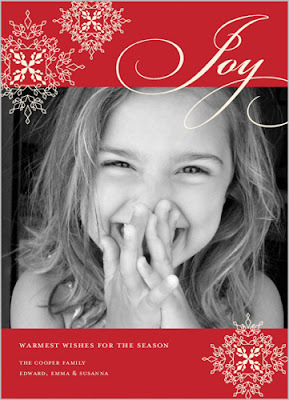 Memory Makers Magazine has a three free Holiday Card templates. EW Couture has some free Holiday Cards for you too. *UPDATE*: Jenn at My Delicious Ambiguity has another large list of free printable cards. Some of them are the same as here, but there's a lot more to check out. 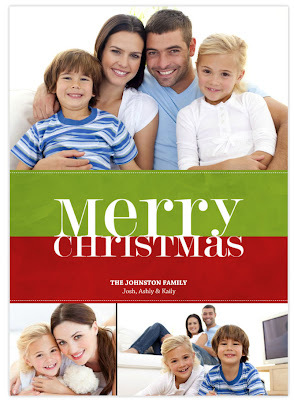 I came across your blog today looking for Christmas card templates, thank you for posting this. Your newest follower.